It’s been awhile since we’ve heard from musician, lyricist, choir director, father, husband John P. Kee, nonetheless the list of his achievements goes on. Now, Pastor John P. Kee will celebrate his inaugural release on his own Kee Music Group label with distribution via Central South Distribution. Kee’s new release, Life And Favor will be available August 28, 2012 and it will mark another milestone for one of Gospel music’s greatest pioneers. 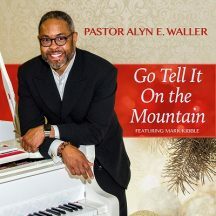 You may be familiar with some of his previous hits including: “The Anointing,” “He’ll Welcome Me” “Standing In The Need,”Wash Me,” “Stand” and “We Walk By Faith,” just to name a few. John P. has numerous awards including: 21 Stellar Gospel Music Awards, a Soul Train Music Award, two Billboard Music Awards, seven Grammy™ Award nominations, a Trailblazer Award from former President Bill Clinton, and The James Cleveland Lifetime Achievement Award from this year’s Stellar Gospel Music Awards.